This stunning Spanish mediterranean style home is sure to please! Built on a large corner lot in Canyon Gate this home features beautiful stone and cantera finishings. 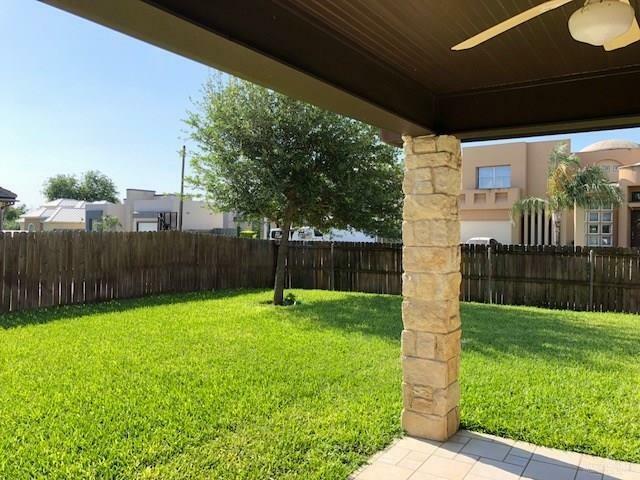 This mature community, located in Sharyland ISD, is filled with plentiful trees and luscious landscaping. 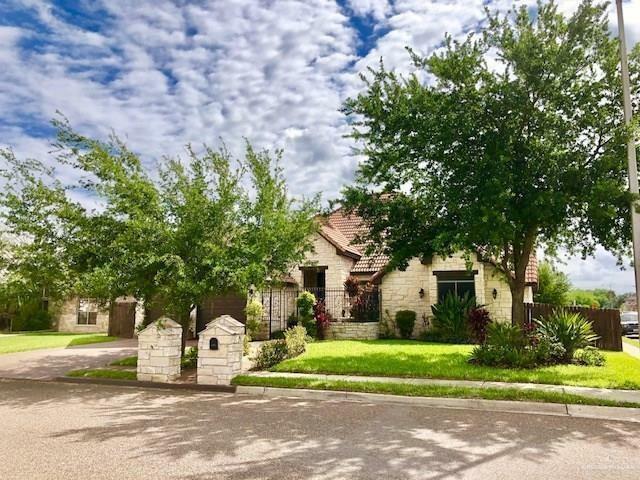 Home features a private gated front entrance, 4 bedrooms including an additional room with built-in book shelves which could be used as an office, 3 full baths and a 2 car garage with a spacious open concept! 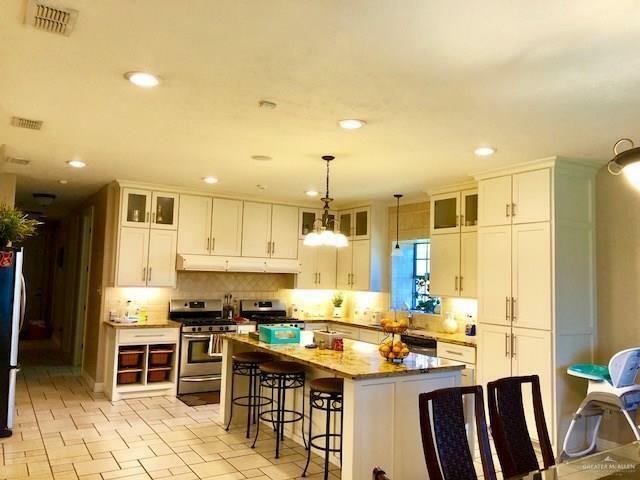 Cozy second living/dining area with a vaulted brick ceiling with accent lighting, custom interior paint, custom built-in cabinetry, 2 gas stoves and 2 ovens, stainless steel appliances, granite counters, mini-bar, large, landscaped fenced yard, sprinkler and security system. EXCELLENT LOCATION; Minutes Away from Shopping Centers, Restaurants, Hospitals, Expressway 83, and Anzalduas International Bridge.